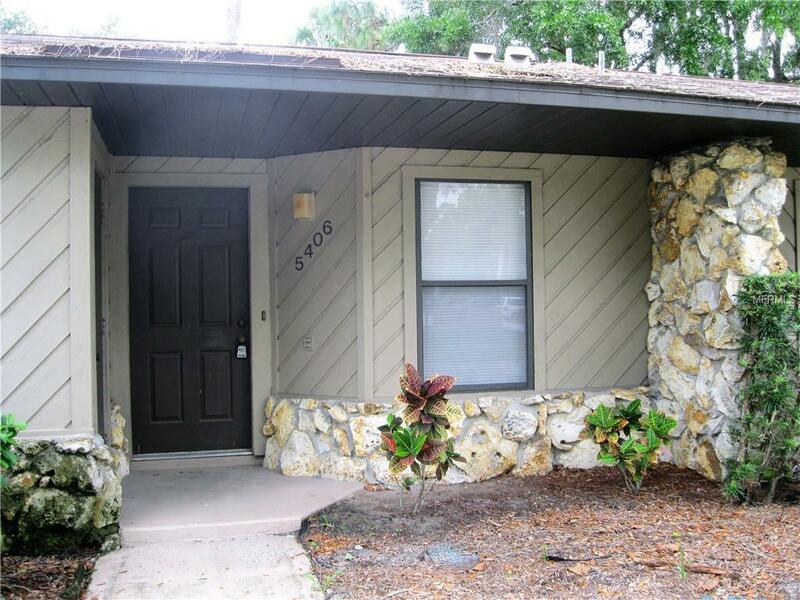 The very desirable "Heatherwood" community is centrally located in Bradenton. The grounds have canopy streets with large oak and banyan trees, and community pool and ponds with fountains. Two large bedrooms and two bath villa with walk-in closets, porch, pass through kitchen with breakfast bar, and also including an exterior storage closet. Washer/dryer hookups in one of the kitchen closets make laundry cool and convenient. Park in one of two assigned parking spots right in front of your door. Just a stone's throw from the pool, too. Easy commutes to Sarasota, 301, US 41, I-75, UTC Mall, and don't forget the beautiful beaches of Anna Maria Island! "Paint your own canvas" in this villa. Pet friendly community and no age restrictions. As is with right to inspect. Welcome Home!! !